Organophosphorus Monomers and Polymers is the first attempt at a generalization and systemization of existent knowledge of the methods of synthesis and the basic properties of monomers and polymers of organophosphorus compounds, and also of their fields of application. It contains valuable reference material, collated in tables (physical constants of the monomers, properties of the polymers and copolymers, etc.). The literature used by the author has covered journals, patents and books up to 1958, and in some cases more recent results are included. The monomers and polymers are tabulated according to the particular class of phosphorus-containing compounds to which they belong: acids of phosphorus, their derivatives, phosphines, polymers and co-polymers of unsaturated esters of acids of phosphorus, etc. Groups of monofunctional unsaturated phosphorus-containing compounds (acids, acid chlorides, amides, etc.) are listed in the order of: (a) the distance of the multiple bonds from the phosphorus atom, and (b) the number of multiple bonds. Within each group, the unsaturated substances are listed from simple to complex according to the rules laid down in The Chemist's Handbook. 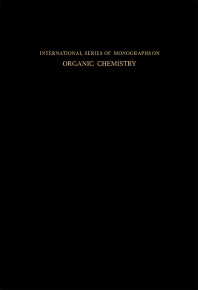 The book is intended for scientists, research workers, engineers, and technologists working on the preparation, manipulation, and investigation of monomers and high molecular weight compounds, and also for students studying related branches of chemistry.